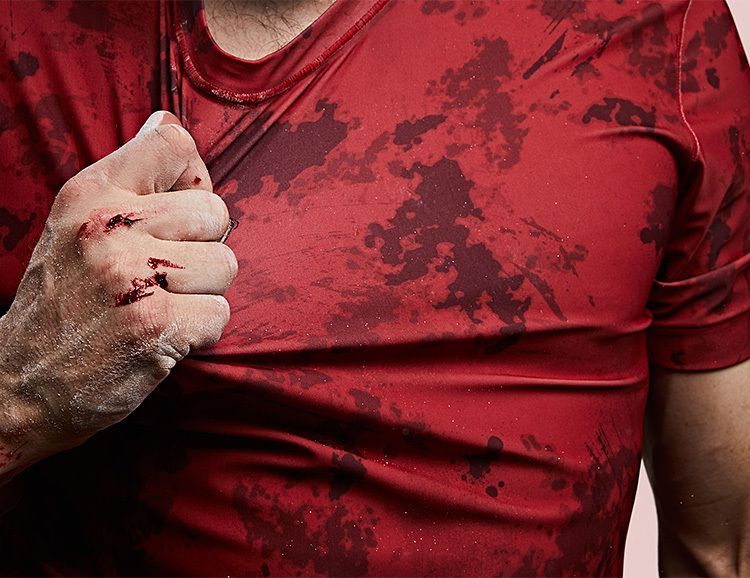 Performance apparel maker Vollebak found a strategy for concealing just how grubby and gross you get when you’re working out and going hard. Their Blood Salt & Dirt Camo t-shirts are designed using mimicry and high contrast patterns to disguise cuts and bloodstains, sweat, salt and dirt. Which conveniently also makes washing optional.